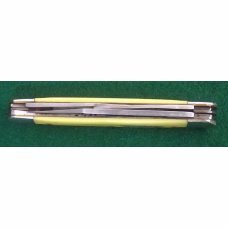 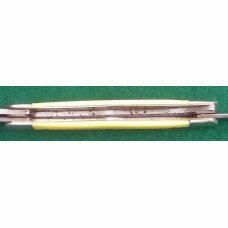 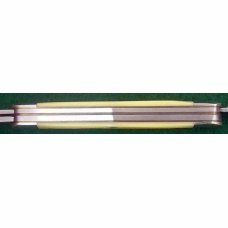 BLADES: -Clip blade with matchstriker pull, coping and small clip blades. 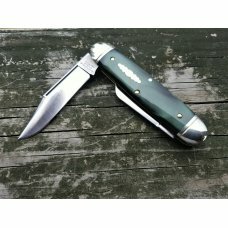 CONDITION: -New in box old stock with paperwork. 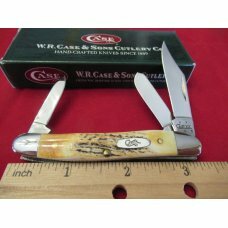 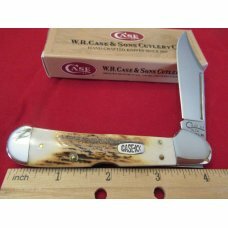 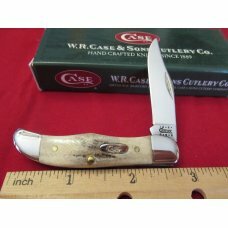 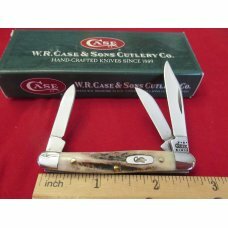 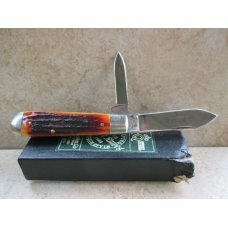 ADDITIONAL INFO: The Camillus Carpenter’s Whittler is a very popular and old pattern. 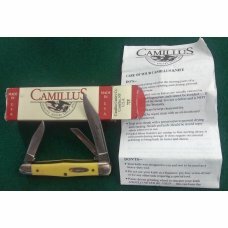 When I first saw the Camillus #72 I thought that was a pretty weird design to be calling it a whittler because it was not the traditional whittler pattern. 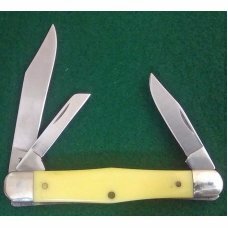 This has not affected its popularity because this same pattern has been made by a number of different companies and for large retailers like Sears and Wards. 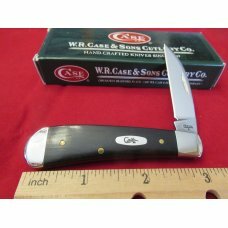 Schrade, Ulster and Imperial as well as a number of other companies have made this pattern. 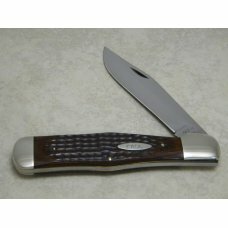 Aside from the various manufacturers and numerous brand names this classic pattern has hosted a number of different handle, including Rogers bone circa World War II, celluloid and other early plastics and then in the early 1960s it was clad in DuPont Delrin® in black, brown, light brown and even white Delrin. 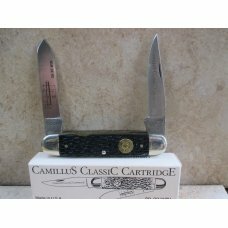 This knife has the last tang stamp Camillus used in this knife is listed in their last catalog, the 2006 catalog. 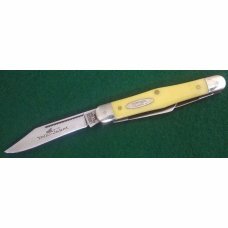 The Yello-Jaket series probably the most sought after recent series of Camillus knives. 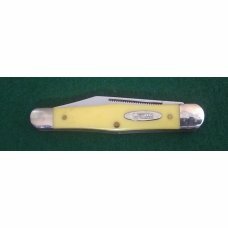 They bring crazy prices on eBay and the asking price is often even crazier. 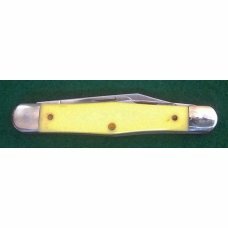 This is a great old stock Camillus Yello-Jaket for your collection! 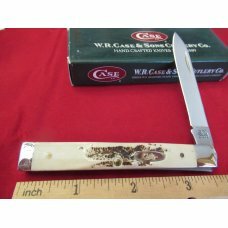 See Pictures! 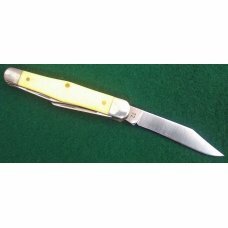 If this item is purchased with another item from Orvet Customs that has a shipping cost of $5.00 or more, standard shipping to US addresses for this item will be discounted to $2.50.